Use our easy sa tools™ to help you launch your online career! Just $5 for 5 days, Full unlimited access. Listen Up: If you're not yet making a full income online - and if you're tired of the make money online crowd and feel your enthusiasm for the online business world is getting ripped out of you (due to a lack of actual results) - Then you need to understand why Super Apprentice is different. 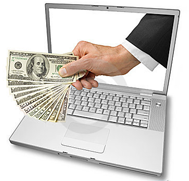 Super Apprentice is NOT another make money online, get rich quick scheme. Super Apprentice requires you to put in 'sweat equity'. If you really want to make money online, it will require YOUR time and YOUR effort. If you don't have the desire, and the determination, this is not for you. Super Apprentice teaches you how to build and manage an online business that can actually make money month after month. Super Apprentice provides the absolute BEST support team online, for any type of business. we are here to help you succeed. Super Apprentice has been around for years because it works. Plain and Simple.